Right now Inés has two candles. Orange + Clove and Frankincense + Tangerine. 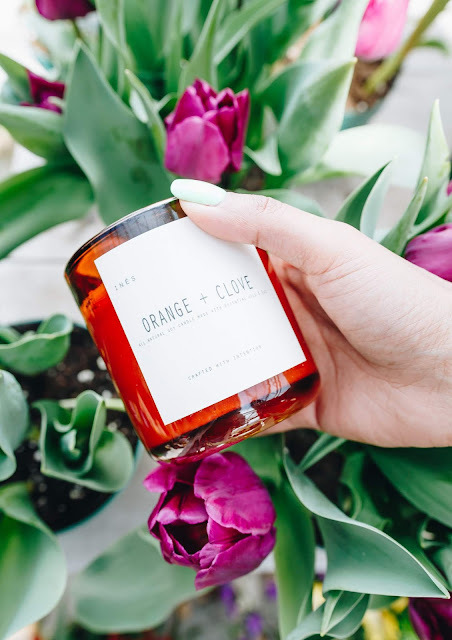 I got to try their Orange + Clove candle. At first I was a little hesitant about orange and clove. Its certainly not a typical scent I see when browsing the candle section. Nevertheless, I was surprised how much I loved this candle. It has a strong clove scent but it works perfectly with the orange. Its such a fresh and relaxing scent. This candle also came with a little care card that is made out of printable seed paper, so I can plant it and grow some wildflowers. I will say that the burn time on this candle is on the shorter side. I did not measure it from the beginning so I unfortunately don't have the numbers but after 3-4 hours there is a considerable amount of wax gone which is fine by me because I tend to burn candles for long periods. Before you know it Chanel Oberlin will be crucifying me for blogging about candles. I love candles though! My favorite scents are peppermint, lilac, and grapefruit. I need to up my candle game and buy some tools like a wick trimmer, etc. Who wants a Inés x JMC collab? What kind of candle would you like to see? I would love to create a grapefruit candle! Also hello this photo is my FAVORITE product photo that has ever been taken on JMC and we've been out here hustling since 2k12! I am so grateful for Brooke who helped me create this beautiful shot. 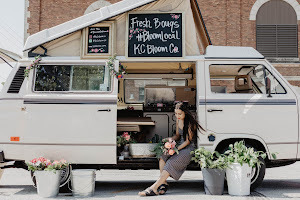 Photos by my new friend Brooke Billings, give her a follow on Instagram! I received these products courtesy of Inés Co. All opinions are always my own. Orange and clove sounds like it would smwll so good!! Congrats to your frie ds! I love that your friends have launched a candle company, what a fab idea, especially since they are eco-friendly too! I really adore how they've packaged the candle, would look fab in my lounge! I'm definitely a fan of a fruity smell so something along the lines of that for me personally! I adore citrus scents, this sounds totally up my alley. Also loving the photography and the fact that it comes with a seed card. That is very, very cool.